Dad’s Dumpsters LLC is northeast Ohio’s premier Junk Removal and Roll-off Dumpster Rental Company. 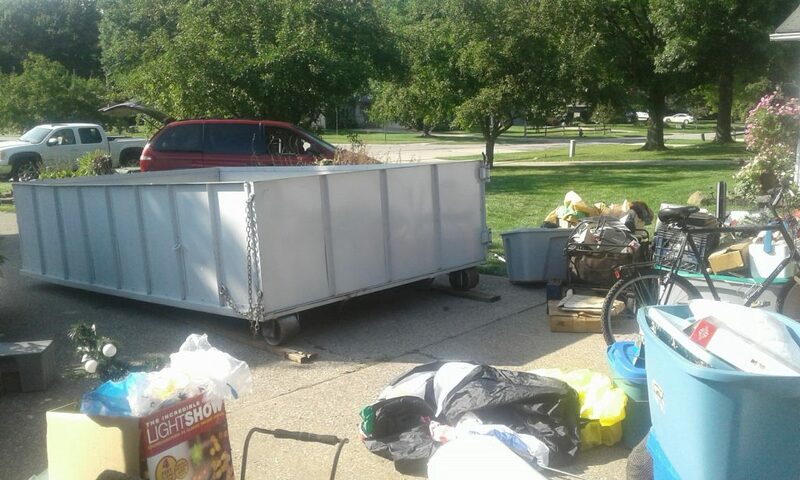 We offer Dumpster Rental service for homes and local businesses throughout Cleveland, Akron, Canton and all of Northeast Ohio. Same day service or you can pick a time in the future that fits your schedule. We offer 10, 15, and 20 yard dumpsters for all your trash removal and light construction needs. There is no need to pay $50 or $100 more than our prices. We have mini roll-off trucks, they cannot haul the same heavy weight as the big roll-off trucks. With that being said, we have to cut out the heavier material so our truck can safely pick up the dumpsters. We are not for every customer, but if we are for you, you can save yourself some money. Tires, batteries, Chemicals, and freon items are prohibited at the transfer stations and landfills we dump at.